Publisher: J. M. Dent. 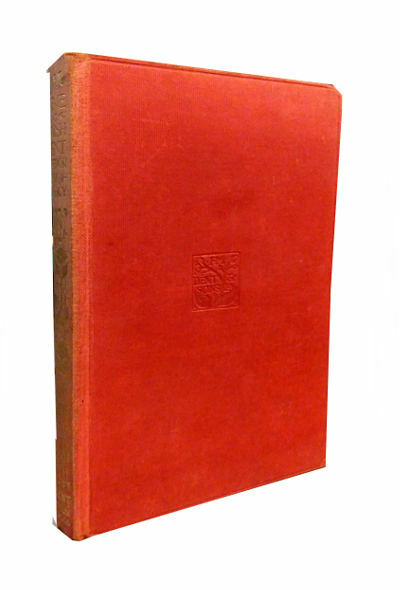 No date, most likely 1st Everyman’s Library edition of 1911. Condition: Hardcover, no dust jacket. Pocket size. Good. Spine faded, ffep missing, book slightly tanned. A desperate young man plans the perfect crime — the murder of a despicable pawnbroker, an old women no one loves and no one will mourn. Is it not just, he reasons, for a man of genius to commit such a crime, to transgress moral law — if it will ultimately benefit humanity? So begins one of the greatest novels ever written: a powerful psychological study, a terrifying murder mystery, a fascinating detective thriller infused with philosophical, religious and social commentary. Raskolnikov, an impoverished student living in a garret in the gloomy slums of St. Petersburg, carries out his grotesque scheme and plunges into a hell of persecution, madness and terror. 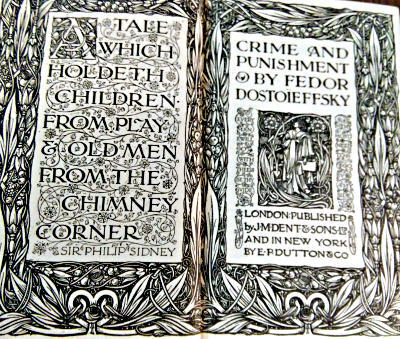 “Crime And Punishment” takes the reader on a journey into the darkest recesses of the criminal and depraved mind, and exposes the soul of a man possessed by both good and evil … a man who cannot escape his own conscience.